Welcome to the Land of Awesome! 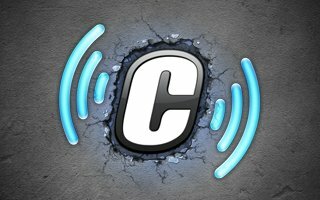 Thanks for checking out the new and improved ConcreteSoftware.com! We’re excited to have an awesome new place for all of our fans to explore and enjoy. So, take a look around, let us know what you think, and most of all: Have Fun! Meet Brittany, our Monetization and Advertising Manager! PBA® Bowling Challenge Update 3.1 is Now Available! Rapala® Fishing Daily Catch Update 1.4 is Here! Meet James, our Senior Software Engineer! Guy Harvey Bass Fishing Tournament- Final Day! Rapala® Fishing Daily Catch Update 1.3 Now Available! PBA® Bowling Challenge Update 3.0.5 is Here! Arctic Cat® Extreme Snowmobile Racing Update 1.4! PBA® Bowling Challenge Update 3.0 is Rock Solid! PBA® Bowling Challenge Update 2.9 is among us! Rapala® Fishing- Daily Catch Update 1.2 Now Available! PBA® Bowling Challenge Update 2.8 is ready to Rock n Roll! Arctic Cat® Extreme Snowmobile Racing Update 1.1 Now Available! NHL® Hockey Target Smash Update 1.6 Now Available! PBA® Bowling Challenge Update 2.7 is on Fire! Aces® Cribbage Update 2.1 Now Available! Join Concrete Software Beta Team Today! NHL® Hockey Target Smash Update 1.4 Now Available! NHL® Hockey Target Smash Update 1.3 Now Available! PBA® Bowling Challenge Update 2.4 is Dino-Mite! Concrete Software has the "Vid Kid"
Fall in love with card games all over again. Aces® Hearts 2.0 for Android has been released. Gin Rummy Anyone? Aces® Gin Rummy 2.0 for Android has been released. Deal me in! Get to know Chip Pedersen! PBA® Bowling Challenge for iOS! Multiplayer for PBA Bowling Challenge! PBA® Bowling Challenge for NOOK! Aces® Gin Rummy is on Google Play! PBA® Bowling Challenge for Android! Jellyflop!™ Adds new levels, new mechanic and more! 1 Million Downloads. 1 Month. 1 Awesome Game. Coming Soon to a Sandbox near you! Aces® Spades for Android is here! Time to get your Word on! Aces® Speed keeps you on your toes! Traffic Pack for Windows Phone 7! Aces® Bubble Popper for NOOK! Abyss makes a NASCAR appearance! PBA Bowling 2: out Now for iOS! Play Texas Hold 'Em with Phil Hellmuth! PBA Bowling is out now! Partnership with PBA is Official! Concrete Software Wins Developer of the Year Award! Most Popular Smartphone Game of 2006! 3D Constructo Combat, Out Now!